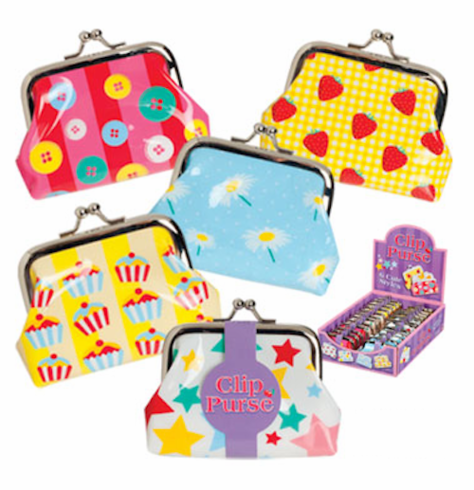 Fun bright colorful designs adorn these 3.5 inch shiny plastic coin purses, with clip close tops. Assorted designs subject to availability. Price is per purse.